EMBRACE them, but condemn what they do. 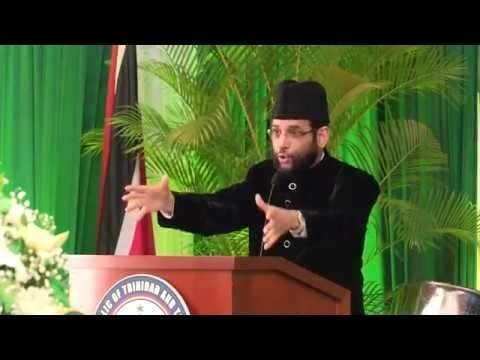 This was the message to the Muslim community from Imam Mushtaq Sullaimani on Friday in response to the ruling of High Court Judge Devindra Rampersad on April 13 that the anti-buggery laws were unconstitutional. Speaking at the weekly prayer service at the Mucurapo Street, San Fernando mosque, Sullaimani called on worshippers to unite and deliver a common voice on the ruling. But he warned against ill-treating and ill-speaking members of the lesbian, gay, bisexual, transgender, queer and intersex (LGBTQI) community. Inciting people to harm them, he said, is not the way of Islam. Umar Abdullah of the Islamic Front, who attended the service, commented afterwards that Sullaimani’s call for a peaceful condemnation of homosexual relations was commendable. Sullaimani said that not only the Qu’ran, but also the Bible condemned homosexuality as an abominable sin with both texts making reference to the story of Lot. The city of Sodom was destroyed, he said, and Lot’s wife was not spared for aiding and abetting. Sulaimani said from the pulpit that Rampersad’s judgement gives men the right to display their intimate affection for each other publicly and expressed fears that in next year’s Carnival, the country could very well witness the public simulation of the sexual act between men and men. Sullaimani said it was his prayer that the Appeal Court would overturn the ruling. Reply to "Imam calls for unified voice against anti-buggery judgment"